Beware the options list on the 2013 Toyota Prius V; what appears to be a $26,550 vehicle (before delivery) can soar to almost $35,000 out the door if you have a heavy hand on the spec sheet. For many families, the basic Prius V Two model should be just fine. 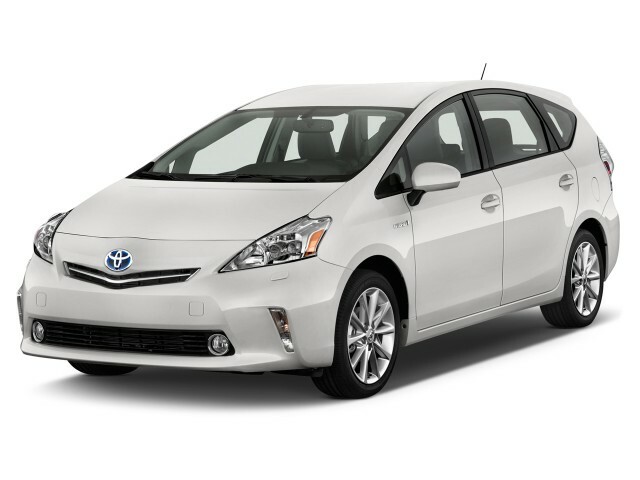 The 2013 Toyota Prius V is by far the roomiest Prius in the lineup, and its 42-mpg combined mileage is hard to beat. It's far from the fastest or most powerful family wagon, and it faces a new competitor, the Ford C-Max Hybrid--but it's still a capacious, comfortable, and highly fuel-efficient family wagon. The 2013 Toyota Prius V, now in its second year, was the first of several additions to the Prius hybrid family of cars that now numbers four separate models. It marries the standard Hybrid Synergy Drive powertrain from the well-known Prius Liftback model to a wagon that's longer, taller, and far more capacious both inside and out. The result is one of the most fuel-efficient family wagons or crossovers sold in the U.S. The EPA rates the 2013 Prius V at 42 mpg combined, which is only about 15 percent less than the 50-mpg ratings achieved by the Liftback and Prius C models. 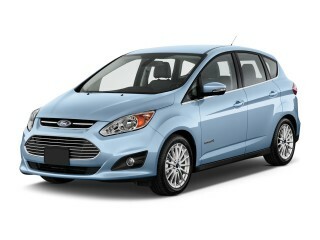 And its sole competitor is the new Ford C-Max Hybrid, which is slightly smaller inside but returns 47 mpg combined. While there's no mistaking the Prius V for anything other than a member of the hybrid family, it actually shares no body panels at all with any other Prius. The more vertical tailgate has only a single window, rather than the split two-piece glass of the Liftback, and it's even taller and more slab-sided than the original. Behind the wheel, the driver of a 2013 Prius V wagon sits higher than in the standard Prius, though not nearly as high as in all-wheel drive crossovers or trucks. (Only front-wheel drive is offered, by the way.) The noise and performance of its 98-horsepower, 1.8-liter engine and pair of electric motor-generators will feel very familiar to existing hybrid drivers, and removed and vague--but perfectly fine--to enthusiastic Prius newbies. Regrettably, though, with 300 extra pounds to haul around, the Prius V is even slower than the Liftback, and it struggles mightily on steep hills when heavily loaded with people and cargo. Inside, thankfully, the impractical "flying buttress" console is gone, replaced by a more traditional center bin/elbow rest and a center stack with easy access to bins, cup holders, trays, and other convenient storage of the kind that families use continuously. The dashboard's high-level central display provides a somewhat random array of icons, diagrams, readings, and symbols in full color, very similar to those of the basic Prius. The interior volume is why buyers will choose the Prius V, though. It offers 34.3 cubic feet of cargo volume with the rear seat--it slides, so that's in its rearmost position--and 40.2 cubic feet with it slid forward, according to the EPA. Fold the seats, and cargo volume rises to 67.3 cubic feet. Equally as important, the width between the wheel wells is 39 inches, making the flat load floor wide as well as long. Standard equipment for this practical family vehicle includes fabric trimmed seats, automatic climate control, and a tilting and telescoping steering wheel. To Toyota's credit, its rear seat not only folds down and splits 60/40, but also slides fore and aft and reclines from 15 to 40 degrees--a rarity in wagons. Our one quibble was that with the seat folded and slid forward, it was easy to drop small items into the space between the load deck and the seatback, despite a vinyl cover that attempted to prevent that. With seven airbags and the usual electronic control systems, the 2013 Prius V has done well on safety ratings. 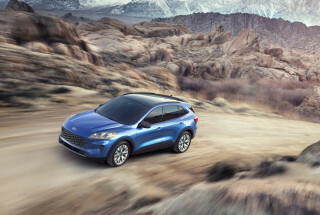 The IIHS rates it a Top Safety Pick, with the top score of Good on front, side, and roof-crush tests, and rear crash protection. But the NHTSA has not yet issued ratings for the Prius V, and in the new IIHS small overlap frontal test it manages only a Poor rating. Three trim levels--confusingly called Two, Three, and Five, to match the broader array of levels offered on the Prius Liftback--are available for the Prius V wagon. The base model is the Prius V Two, starting at $27,345 (including a mandatory $795 delivery fee), and includes an integrated backup camera that displays in the audio screen, keyless entry, and three additional drive modes--EV, for all-electric drive at low speeds; Eco, for better fuel economy; and Power, for those steep hills--as well as the default hybrid tuning. The mid-range model, the Prius V Three, adds a tilting-and-telescoping steering wheel with audio, Bluetooth, and climate controls in the steering wheel, plus voice-activated navigation controls. It also includes Toyota's Entune cloud-based infotainment system, and a navigation display and audio unit with a central 6.1-inch screen. The top-of-the-line Prius V Five, starting at just under $31,000, adds 17-inch, 10-spoke alloy wheels, fog lamps, a smart-key system, LED head lamps, and a six-way adjustable driver's seat with adjustable lumbar support plus a four-way adjustable front passenger seat, both of them heated and trimmed in SofTex fabric. The optional Advanced Technology Package can only be ordered with the Prius V. It includes an HDD navigation system, a panoramic view moonroof with electrically powered sunshades, and dynamic radar cruise control. Toyota also includes one year of the Safety Connect system, which provides drivers with roadside and emergency assistance, stolen-vehicle location, and automatic notification of emergency services in the event of a collision. The solution for many transportation problems! I am not an eloquent writer... My choice of cars was very mission and agenda focused. 1. Save the planet! 2. Have a car that's totally reliable over the long run. 3. Have a car that can accomplish many... I am not an eloquent writer... My choice of cars was very mission and agenda focused. 2. Have a car that's totally reliable over the long run. 3. Have a car that can accomplish many missions. I'm 6'3" and 350, so no sub compacts need apply. I believe in global warming so I want a car that's environmentally helpful. Must have high gas mileage. I haul mail, people, and fur nature on a regular basis.... So it's got tone big. I need a cost efficient reliable car. 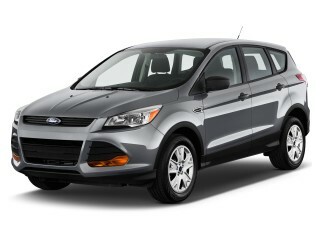 It's big,comfortable, and fuel efficient. IT IS RELIABLE AND CHEAP TO OPRTATE!